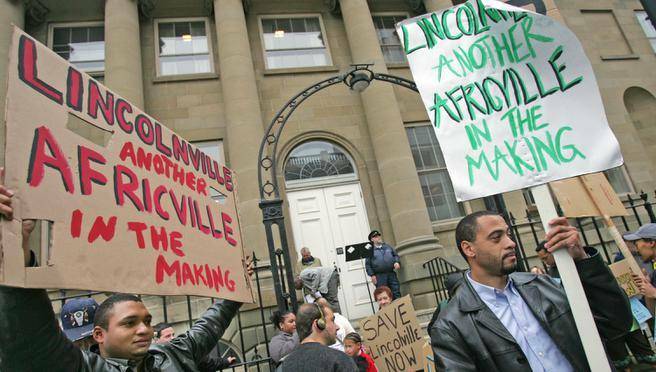 For too long have marginalized communities in the Maritime Provinces been forced to live under structural conditions that allow for environmental racism -- the disproportionate location of polluting industries and other environmental hazards near communities of colour. While this term may continue to be unfamiliar to some, many have become aware of this issue through the work of Dr. Ingrid Waldron, PhD, and the ENRICH (Environmental Noxiousness, Racial Inequities and Community Health) Project. On March 22nd, 2016, I joined Dr. Waldron (Assistant Professor at Dalhousie University and Director of the ENRICH Project) in providing a lecture at the Schulich School of Law at Dalhousie University, titled Race, Place, & the Law: A Socio-Legal Analysis of Environmental Racism in Nova Scotia. The lecture was hosted by the Environmental Law Students’ Society and was well attended by students, faculty, and members of the public. The significant public interest and engagement is incredibly encouraging and an important first step in naming and addressing this issue. Dr. Waldron led attendees through a critical interrogation of how colonialism, race, class, income, and environmental policy inform the disproportionate location of polluting industries and environmental hazards in Mi’kmaq and African Nova Scotian communities. 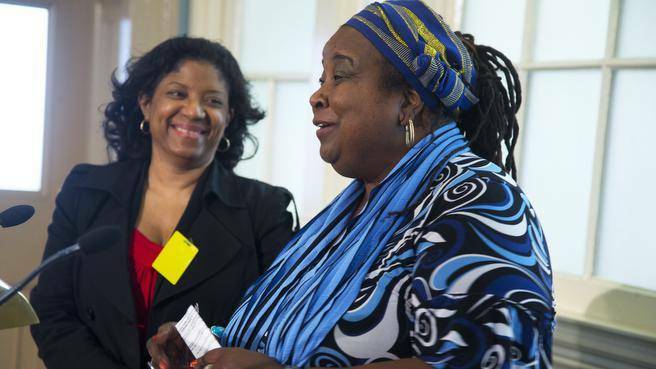 Since 2012, ENRICH has engaged in community health research, capacity building, policy analysis and public education around environmental racism. Dr. Waldron identified many systemic issues that underpin environmental racism. She identified that avenues for public consultation and access to decision-making are key for those most affected by environmental harms and location of polluting industries. I then led the attendees through an introduction to environmental rights legislation and support for ECELAW’s belief that environmental rights are a broad, comprehensive solution, and are well-suited to addressing systemic issues of environmental racism and environmental justice in communities including Lincolnville, Nova Scotia, the Pictou Landing First Nation, and beyond. Strong environmental rights legislation in the Maritime Provinces would include not only a recognition that clean water, uncontaminated soil, and unpolluted air are human rights, but would greatly increase public access to environmental information, decision-making and the judicial system. We need environmental rights legislation that does not lose sight of environmental justice and the disproportionate impact of environmental issues on communities of colour. Mandatory consultations with marginalized groups would be a start to ensure community members’ voices are heard. Environmental rights are not yet recognized nationally in Canada, however a few provinces have moved towards recognizing some level of environmental rights. Ontario’s Environmental Bill of Rights, which came into effect in 1994, contains some procedural rights. However, after more than 20 years, it is in need of reform and modernization. We have an opportunity in Nova Scotia to build on lessons from other provinces to develop robust and effective legislation, which not only includes strong environmental rights, but also recognizes the disproportionate burden and lack of access to environmental benefits for marginalized communities. ECELAW has established collaborative Environmental Rights Working Groups in each of the Maritime Provinces to raise awareness and to develop model draft legislation. We are also actively working with our national partners, the David Suzuki Foundation and Ecojustice, to ensure that environmental rights remain a key issue on the national stage. As Atlantic Canada’s only environmental law charity, ECELAW relies on the generosity of our supporters to continue to engage in this important work. If you would like to help us increase the accessibility, enforceability and effectiveness of environmental laws in Atlantic Canada, please donate today. Law and policy change can be slow moving and it cannot be done without consistent and continued public support and engagement. Dr. Waldron said she’s been able to get things done “not through cynicism but through hope and even a bit of naïveté.” We’re on board. Let’s continue to address the issue of environmental racism. Please join us today in working toward recognizing environmental rights to ensure a healthy environment for racialized and indigenous communities in the Maritime Provinces, and for all.